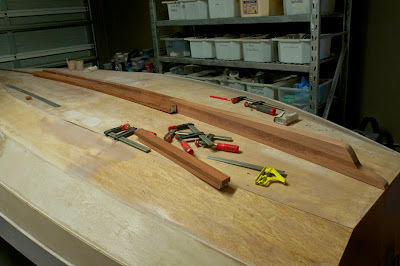 I'm currently doing the rest of the skeg, from laminations of my favourite timber to plane, Jarrah. 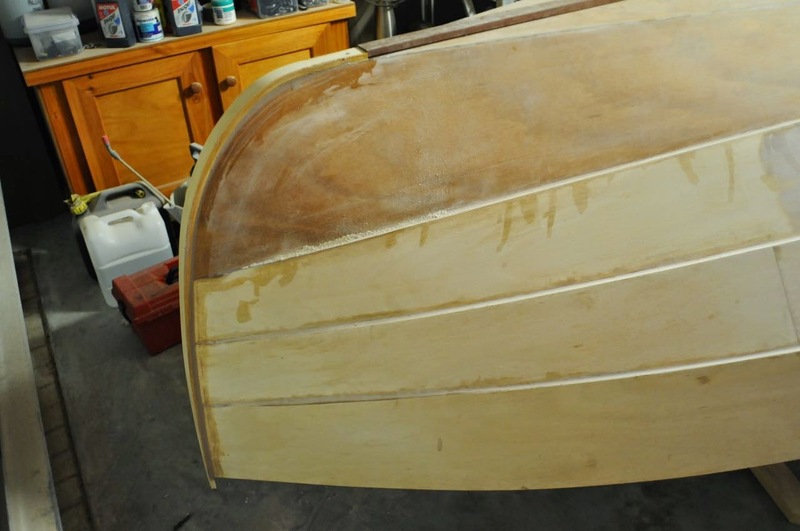 This is done in three pieces - bow, centreboard case surrounds, and stern. I've mostly finished shaping the bow and stern pieces. The bits around the centreboard case need another bit of 19x40mm Jarrah laminated on at the stern end before being planed down to shape and then screwed and glued in place. My upside-down boat makes a handy workbench.